Is your smile something you want to keep hidden away? Are chipped, misshapen or crooked teeth hampering your confidence? At Hillcrest Dental Group, restoring your smile to its former beauty is our passion. For patients who are looking to address issues of damaged teeth, veneers from our Petaluma dental office are an excellent choice. Porcelain veneers are thin, customized ceramic shells designed to cover the fronts of teeth; the shells are able to change the color, shape, and spacing of teeth -- transforming the appearance of your smile. Durability – Porcelain veneers are strong and resistant to staining. Thanks to the durability of porcelain, and with improved cements and bonding agents used in applying veneers, they can last from 10-30 years. 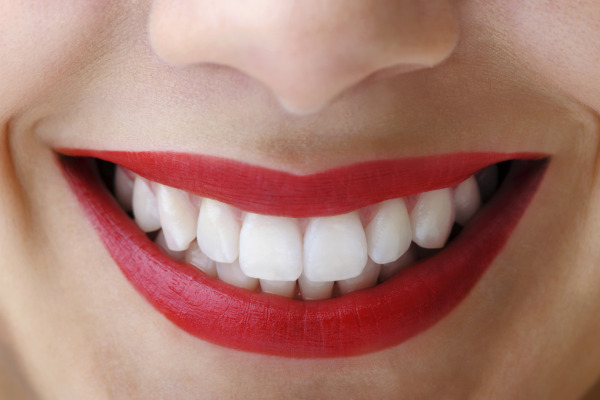 Functionality – In addition to improving a person’s appearance, veneers improve oral function. By covering cracked or damaged teeth with a porcelain veneer, your teeth are stronger and better able to support your oral health. And the boost in self-confidence from having a beautiful smile doesn’t hurt either! Versatility – Veneers can be used to change tooth color, correct the spacing in between teeth and can make teeth that are small appear even and fit within the rest of your natural teeth. Our Petaluma porcelain veneers are made to give you a bright and beautiful smile in shorter time than you might imagine. We tailor treatment to fit your needs – whether you are interested in getting a whiter smile, or more even-looking smile, veneers can help you achieve the look you’ve been wanting. Veneer treatment is minimally invasive – during your visit, we will buff down a thin layer of your tooth’s enamel. By preparing your teeth, your veneer has room to lay seamlessly against your dental enamel, so your final treatment looks natural. Dr. DeBernardinis will then take an impression of your smile, which will be sent to a dental lab to design the veneers to perfectly fit your teeth. Your veneers are usually available for the final fitting within a couple of weeks. Once your veneers are complete, you’ll return to our office to get final treatment for your new, beautiful smile. You’ll leave our office that day with a brand new look. If you are suffering from cosmetic dental problems and are interested in learning more about getting porcelain veneers from our Petaluma cosmetic dentists, contact us today to set up your consultation.